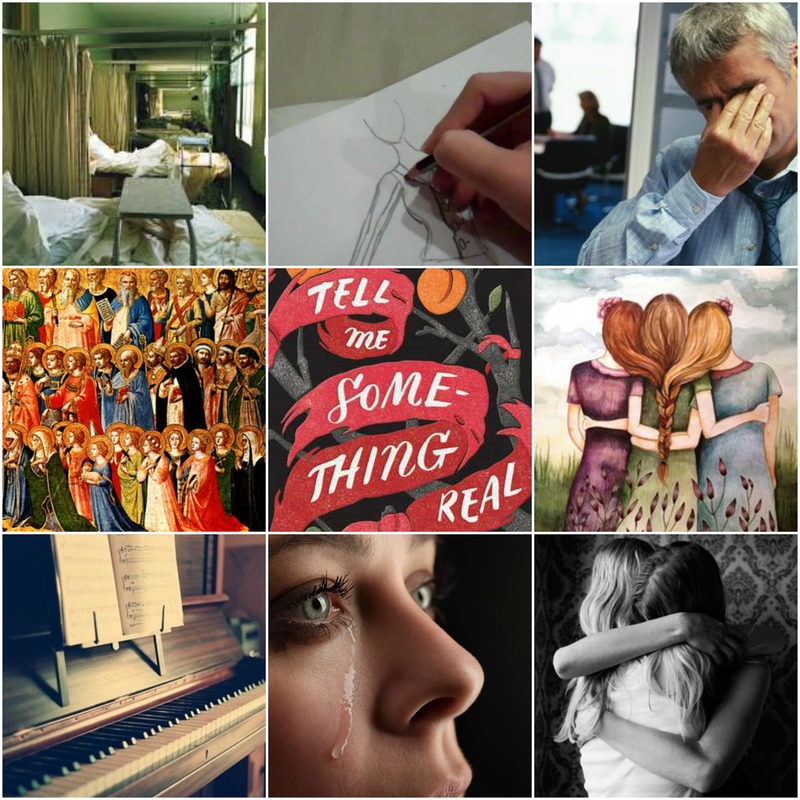 I Turn the Pages: Tell Me Something Real by Calla Devlin | Mood Board, Blog Tour & Giveaway! Tell Me Something Real by Calla Devlin | Mood Board, Blog Tour & Giveaway! 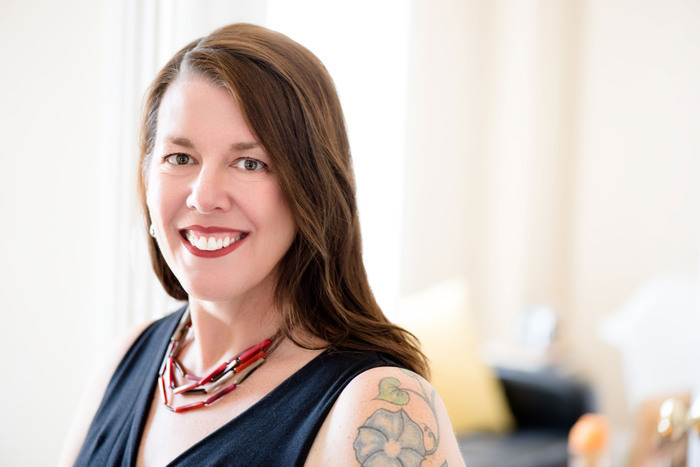 Calla Devlin is a Pushcart nominee and winner of the Best of Blood and Thunder Award whose stories have been included in numerous literary journals and in anthologies, including Because I Love Her: 34 Women Writers Reflect on the Mother-Daughter Bond, for which she was featured in the San Francisco Chronicle and San Francisco Magazine. 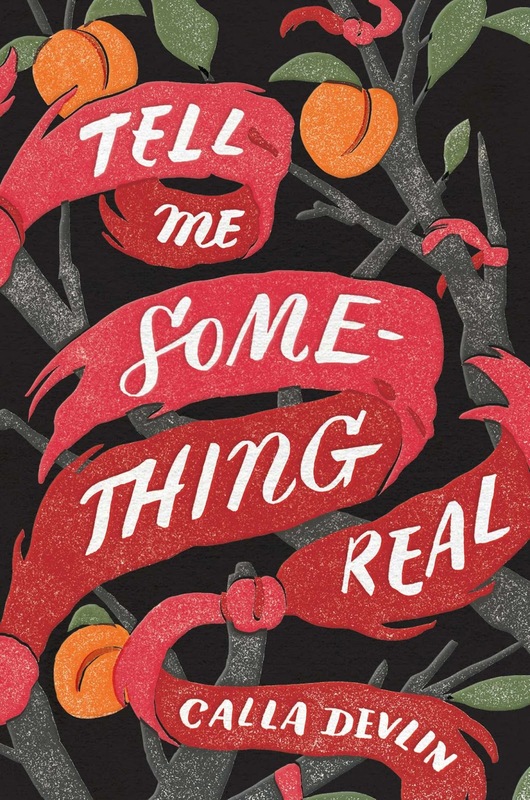 Tell Me Something Real is her first book. Instead of answering the "typical" questions that I would for a mood board like this one, I wanted to just take a minute and chat about my mood board, and what I wanted to incorporate in my mood board. From scouring Goodreads, I learned that each of the three sisters has their own way of coping with this news. One of the sisters turns rebellious and has a bit of a swearing problem. She also learns to draw in order to release her emotions. Another has a deep connection to the piano, and she invests more of herself into music as the situation with her mother gets worse. The youngest sister develops an obsession with Catholic Saints. The father of the three girls is seemingly absent, because he pours himself into his work. Each of the characters in this book has an extremely unique way of coping with the situation in front of them. I wanted to do the best that I could to capture that in a mood board, because I do believe that it speaks loads about the characters themselves. The other pictures in the mood board tell the basic story. The three sisters who have their hair braided together lets you know that the story follows three sisters. Sure, the focus of the book is on the middle sister, but there is a very large amount of importance and stressed placed on familial relationships, hence why all three girls are included. The hospital beds clearly represent the clinic that the mother has to go to for her treatment (and yes, I did try to find a picture that was historically accurate!). Lastly, the tears and hugs represent the emotions of the characters and just the fact that they are trying to cope in and of itself. I had a blast making this mood board! In fact, I didn't even speak about why I am so interested in this book to begin with! (I might as well do that now, because I feel like it didn't come across as much as I would like in the mood board. Hannah had pitched this book to me as a dark historical fiction, and yes, it is historical! It takes place in the 1970s, while also dealing with something that is still close to home today. I thought that was an extremely interesting combination and I knew it would hook me right away. Not to mention the mystery surrounding the lies within the family, and a big secret that is revealed in the book! Overall, I really enjoyed making this mood board! I love being able to share "new-books-to-me" with my readers, because I do hope that these books will interest you and/or you will want to learn a little bit more about them! I'll definitely have a review for this book later on my blog, but for now, I want to share a little treat with you all! Hannah from Irish Banana Tours and the publisher have happily sponsored a giveaway for all of you! This giveaway is tour-wide and US only (sorry, international people!). By entering this giveaway you acknowledge that I Turn the Pages is not responsible for and cannot be held accountable for any part of this giveaway. This includes the shipment of the prize, notification of a winner, etc.! 9/1: I Turn the Pages - Mood Board <-- That's me!! 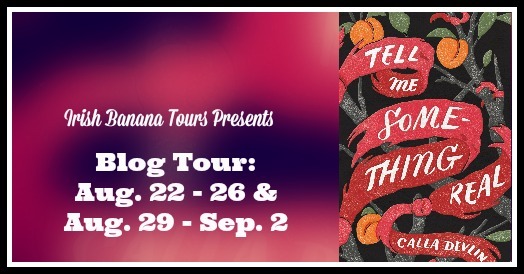 Again, I just want to say a big thank you to Hannah from Irish Banana, Calla Devlin and Simon & Schuster for allowing me to be a part of an amazing blog tour for an amazing book!